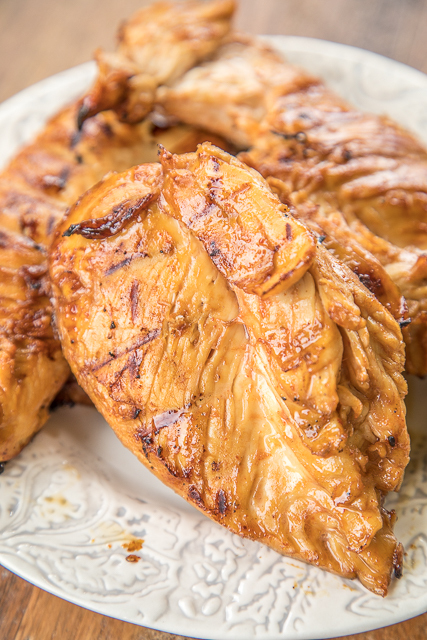 Honey Lime Sriracha Chicken Recipe - chicken marinated in honey, soy sauce, Worcestershire, garlic, lime and Sriracha - Let the chicken marinate for at least 4 hours and then grill to perfection. Sweet with a little heat! 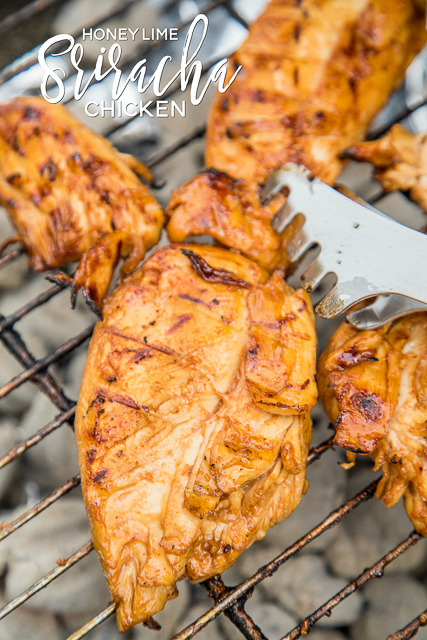 One of our favorite grilled chicken recipes! We grill out a lot in the summer so I am always thinking of new marinades. I've been on a Sriracha kick lately, so I decided to marinate our chicken in a mixture of honey, lime and Sriracha. We let the chicken hang out all day in the marinade and soak up as much flavor as possible. We threw it on the grill and it smelled amazing as it cooked! We both took one bite and were blown away. SO good! There isn't much heat in the chicken since the chicken was just marinated in the Sriracha. It would have more of a kick if you basted the chicken in the Sriracha. We served this with some of the Black Eyed Pea Salad and Homemade Chicken Rice-A-Roni. It was all fabulous! Whisk together honey, soy sauce, Worcestershire, garlic, lime juice, Sriracha, salt and pepper. Pour over chicken and refrigerate 4 hours to overnight. 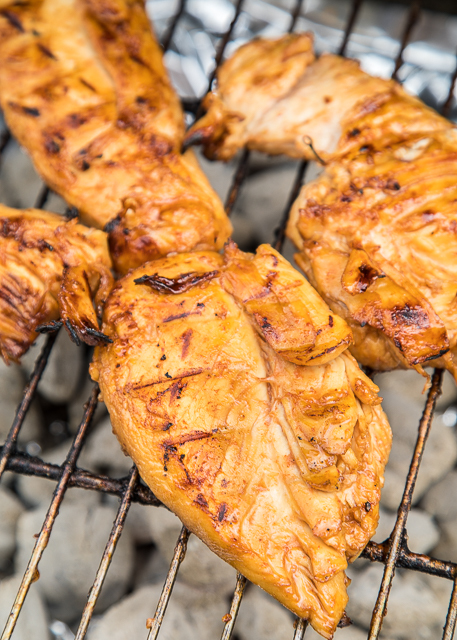 Remove chicken from marinade and grill until done. Approximately 5-6 minutes per side. Looks so good! One of the best things about our apartment in NYC is that we have grill access on the roof. Pinned! I've been on a sriracha kick too. This looks amazing! Is this spicy or just a little heat? Asking since my toddler eats what we eat. This has become my hubby and mine's favorite chicken marinade. The flavors mesh so well together! Thanks for posting this!